With over 20 years' experience Bella RENEWS REJUVENATES, INSPIRES AND MOTIVATES YOUR LEADERS AND TEAMS! Elevate Breakthrough Performance through High Energy and Transformational Motivational Speaking! Bella Cruz, MA, is President of Bella Cruz Consulting and Training. She is an award-winning leadership consultant, keynote national speaker, international author, John Maxwell Team Member and has a master’s degree. 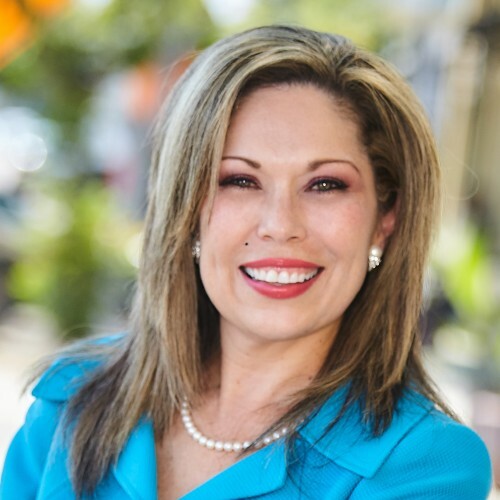 Bella is an engaging and transformational executive coach and credentialed master trainer with over 20 years’ experience bringing synergy and commitment to BUILD LEADERS, BOOST EMPLOYEE ENGAGEMENT, ENHANCE RELATIONSHIPS and ACCELERATE TEAM PERFORMANCE for greater levels of productivity. Bella has worked with senior executives, leaders at all levels and employees in industries such as the military, healthcare, public and private sector, non-profit, and higher education. Bella’s passion is to develop, inspire and motivate individuals to meet their highest potential! Customized messages tailored to your organization and teams take your organization success off the charts. Bella's high energy, storytelling, real-life scenarios and customized messages bring value and engage audiences at conferences, workshops, seminars and retreats to elevate breakthrough performance and ignite the leader within you. Workshops: Take your organization to the next level for greater levels of productivity! Discover the crucial skill of communicating, ability to enhance personal and professional growth, accelerate team performance and how to make powerful connections to reach your highest potential. Your audience will be inspired by self-discovery and awareness to execute and unlock performance breakthroughs through engaging activities, exercises, skills practice and real-life organizational scenarios. Bella has co-authored two books used by healthcare professionals to improve communication with patients. The books are used nationally at conferences, hospitals, clinics, medical, nursing, and pharmacy universities/schools and higher education. Bella’s awards include the Public Relations Society of America Public Champion Del Oro Award and Texas Health Literacy Hero Award for Published Materials. Learning and Development Team Awards include: *Seven ATD BEST Awards * ATD's Innovation in Talent Development Award * Five Chief Learning Officer Magazine's Learning Elite Awards * Three Learning in Practice Awards. Find out more about Bella Cruz at http://bellacruz.org.